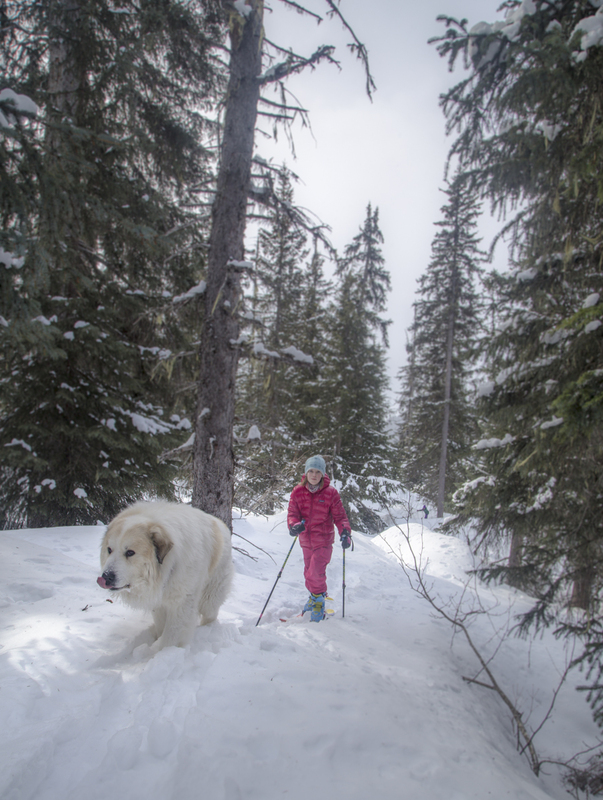 If you are an avid backcountry skier, you naturally want to bring your kids. There is nothing better than sharing a passion with your loved ones. 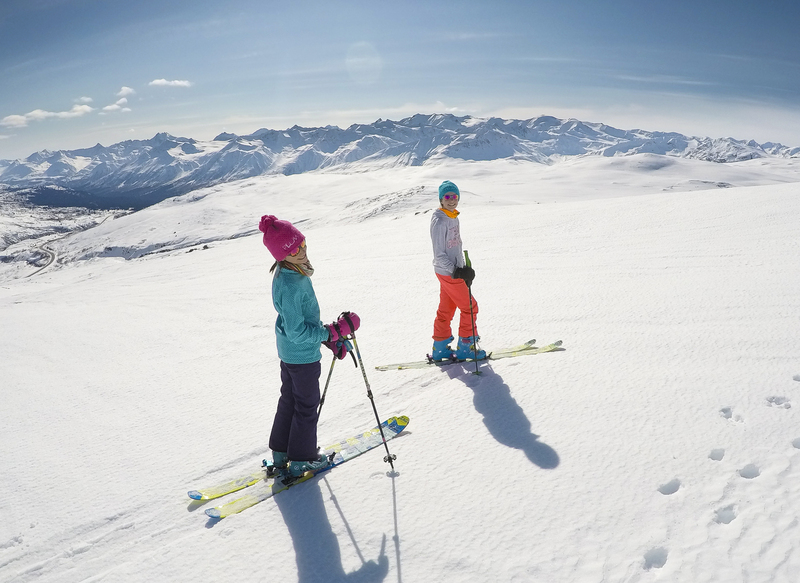 You are a good parent, so you are asking yourself, “Would a responsible parent take their kids skiing in the backcountry?” My answer is, “Why not if you do it safely”. My two daughters (Kiona 12 and Heidi 10) have been touring for 5 years now. It was a slow introduction at first, but eventually it became a common activity. Now we are going higher and higher, even though it is not their favourite sport. They love it and we have already had memorable family trips together. However, in order to have fun in the mountains, and to do it safely, you have to plan ahead. First (and this is probably the most difficult) you will have to find appropriate equipment. There are few possibilities when it comes to alpine touring equipment such as: snowshoes; cross-country skis; hiking; etc. These methods are good enough for quick and easy access, for the purpose of an introduction, but it will not give them an understanding of the true complexities which can arise from back country activities. I believe weight (gear loads) considerations are important for adults, so this factor is an even more important consideration for kids. A very light setup is not absolutely necessary for an adult, but for kids, it is the key. The ratio of body weight to equipment weight is not the same for kids as it is for adults. Imagine what it would be like for you to ski with 10kg of resistance on each foot. 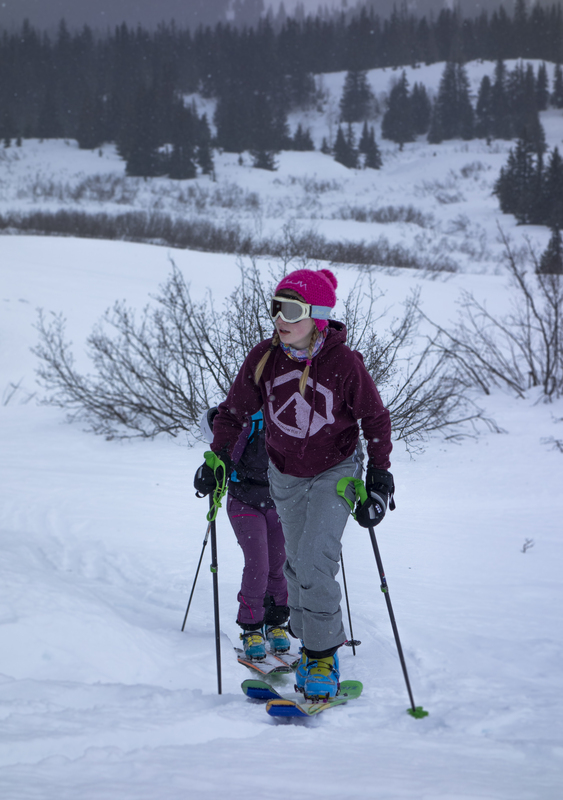 Equipement is the key for the kids to enjoy the backcountry. I geared my girls up with mini alpine touring setups, keeping their gear as light as possible. It helps to bolster enthusiasm and really improve the safety. 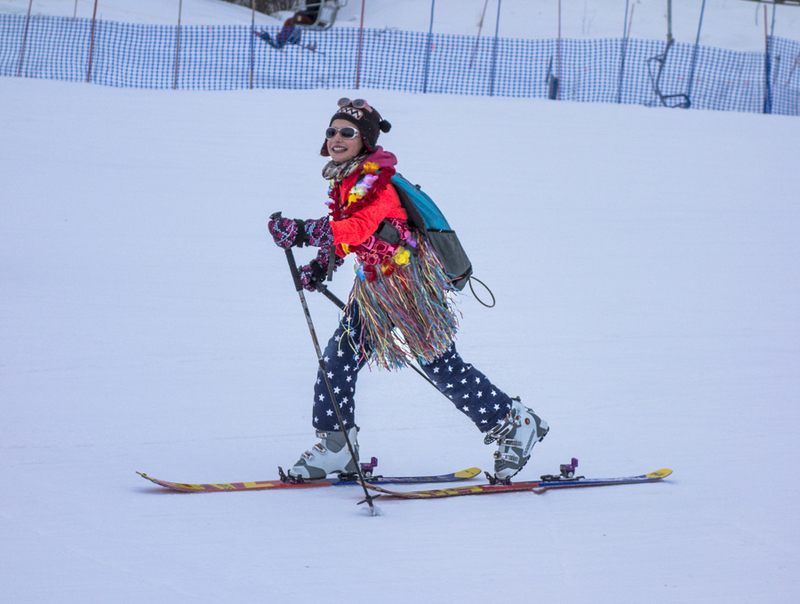 Doing this does not require a second set of equipment to ski at the resorts. Remember, light is right on both the ascent and descent. 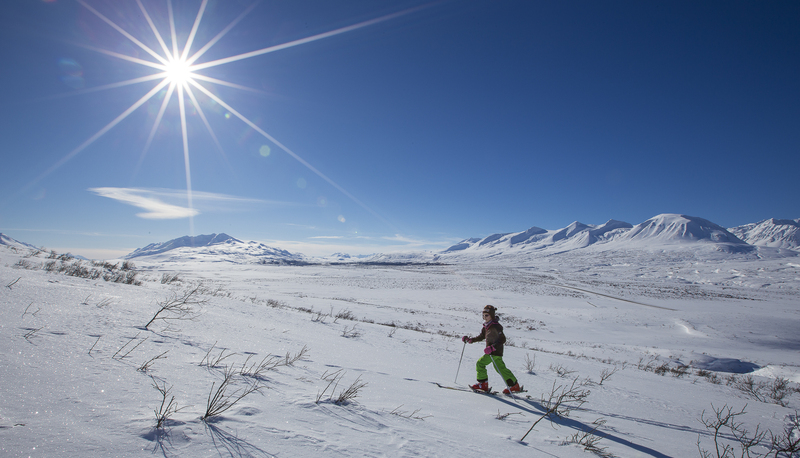 Nowadays, with the increase in popularity of backcountry skiing, there are a few more options. 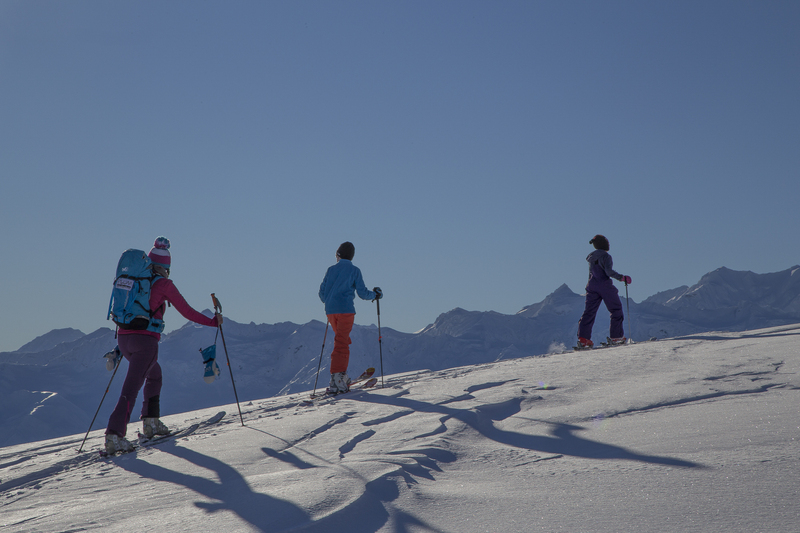 My girls started when they were 6 years old with regular ski boots, customized light touring bindings (Silvretta Pure) and light downhill skis. The weight was not perfect, and comfort and range of motion of the boots for skinning up were not optimal. However, as an introduction to short and easy slopes, it was good enough. We also tried some light adapters (like Alpine Trekker for kids) and it was OK, but a bit heavy and not comfortable because it made them stand a little too high on their skis. The key equipment for keeping weights low and comfort high are the boots. Using real touring boots makes the biggest difference regarding comfort and weight considerations. Touring boots with inserts for tec. bindings start at size 22. It’s now possible to purchase small touring bindings for kids (Hagan), but they are still heavy compared to the kids’ weight. Tech bindings are a must, but they are not compatible with lightweight and we do not want to mess with our kids’ safety. For my little ones, I use the PLUM guide XS, which the Din start at 3.5, but can easily be reduced to 1.5 with a little adjustment. Now, Heidi and Kiona can use the smallest skitouring boots allowing them to use tec bindings….what a difference in comfort and weight, it opened the way up to the peaks. 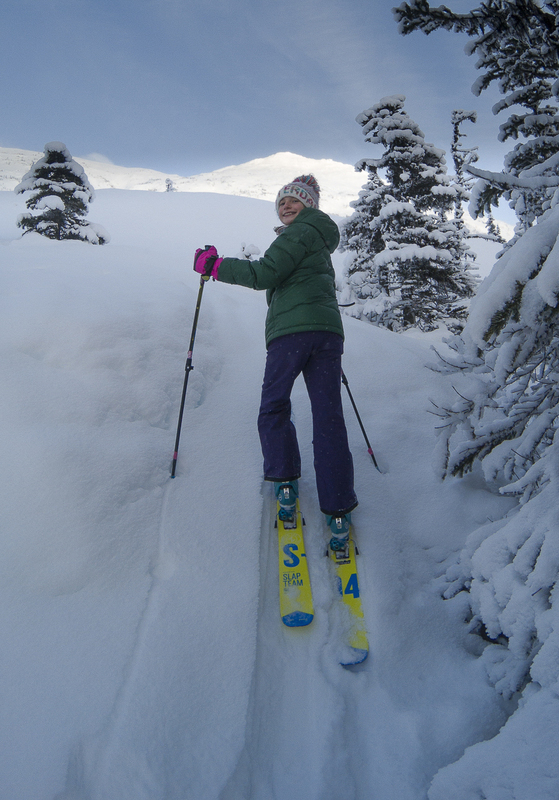 Compared to boots and bindings, the skis are the easiest parts of the equipment to find. Any kind of skis can be used, but lighter is better. Be sure they are good all terrain skis, so they will not sink in deep snow; furthermore, narrow skis make it next to impossible to make turns in variable depth and conditions. 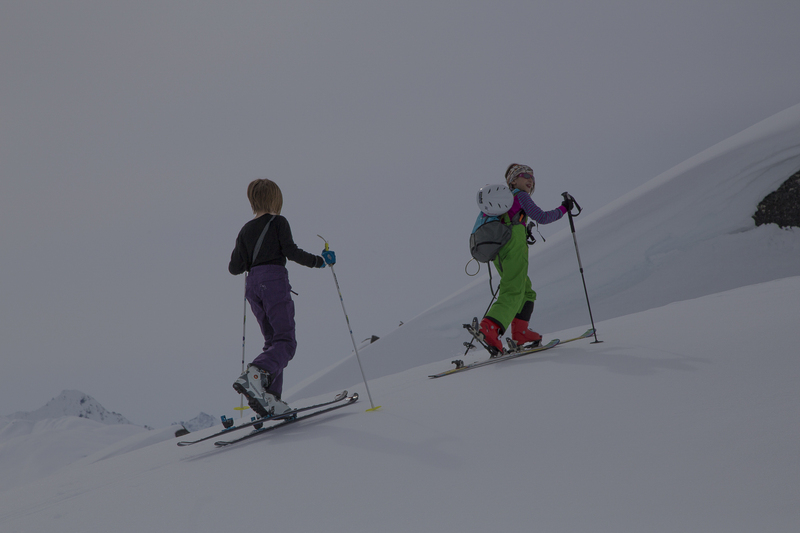 Some parents may choose to take skis which are a bit shorter than usual, and these are good as long as you do not ski in deep snow. A few brands are offering little and light backcountry skis and even alpine touring skis. When we were finally able to find real alpine touring boots in size 22, it was a real game changer. We were then able to use light weight tec-bindings. 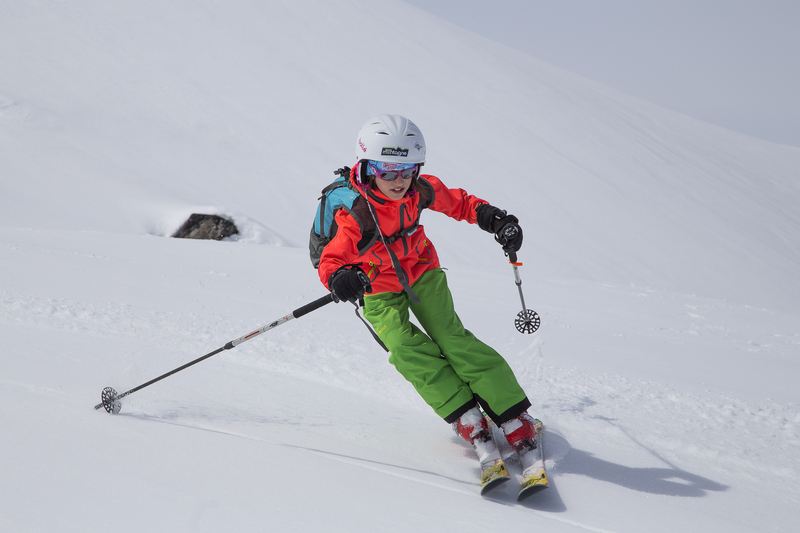 Lightweight freeride skis for kids also arrived on the market, and this made them able to ski easier and happier. What an improvement! 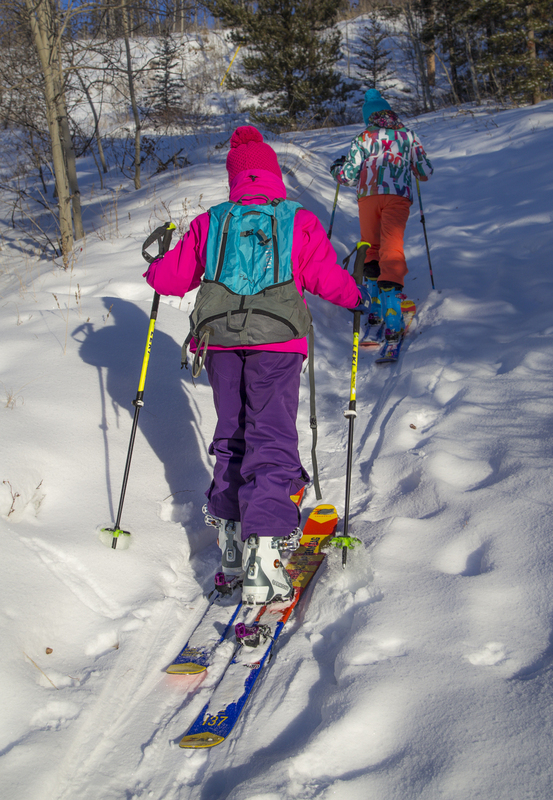 Skinning up was easier, especially with the increase of range of motion and skiing was even more enjoyable because of the quality light skis for kids. 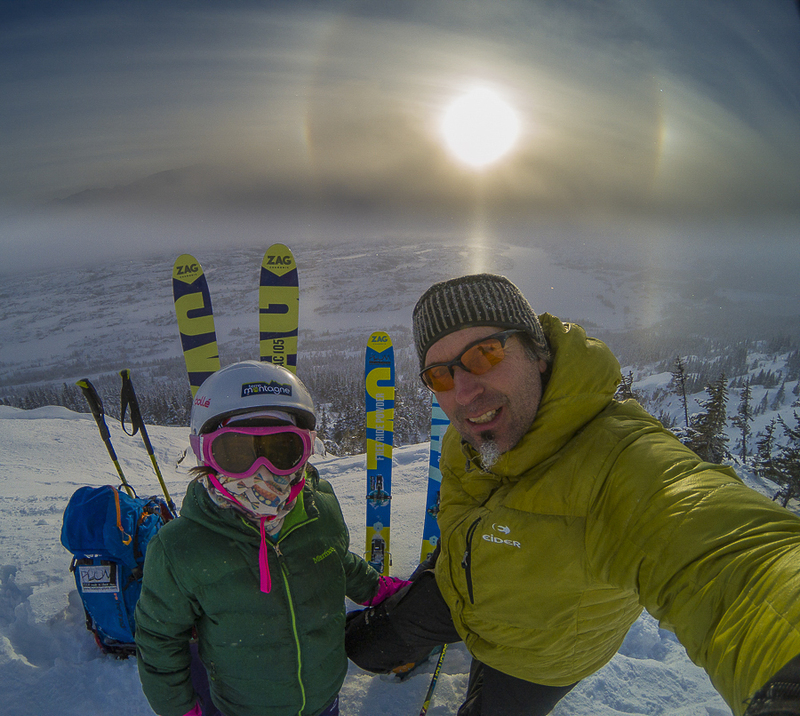 Turns in the variable snow conditions/depths were easier; my little one was flying down the mountains with ease! 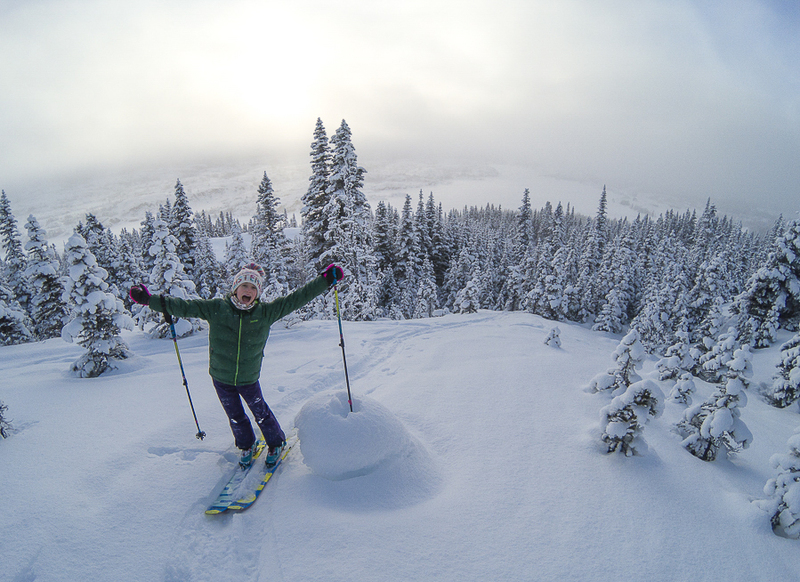 -Heidi, age 10, uses ZAG SLAP team skis in 137 cm, 85mm for Kg, Plum Guide XS bindings, and Scarpa F1 size 22 boots. 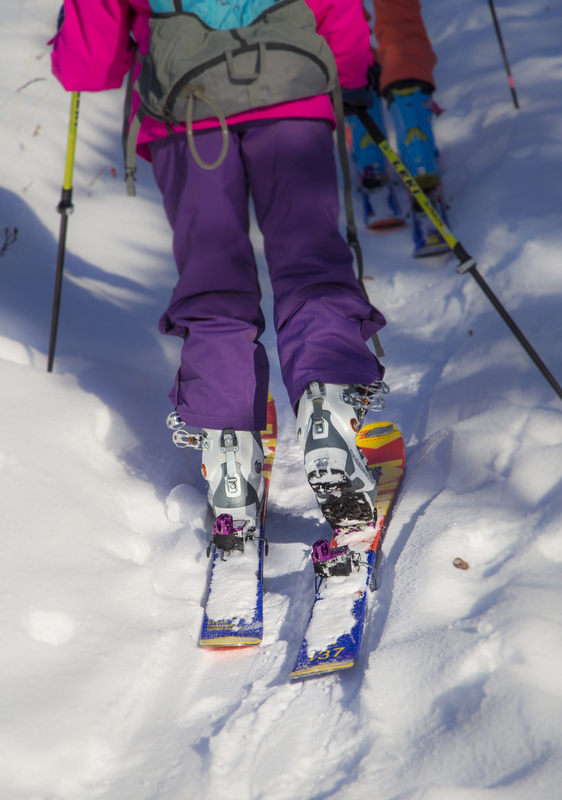 -Kiona, age 12, uses ZAG UBAC team skis, these are one of the only AT skis for kids. They offer great control, response, and are lightweight. They are mounted with Plum Guide XS bindings and Dynafit TLT 6 boots for Woman. These setup are very efficient and we use the same equipment to ski at the resort, so they know their equipment well. Helmets are another important piece of equipment as well as goggles and sunglasses. For the first trip, a beacon was not part of the equipment because I wanted them to focus only on technique and equipment. I must say, that for these first intro back country experiences we were far away from any avalanche terrain. Now, even if in non-avalanche terrain, we outfit the kids with beacons so they can progressively learn about mountain safety. It is easy for kids to learn to use a transceiver. The new generation transceivers are very intuitive, and kids learn them very fast…it is just like a game for them. 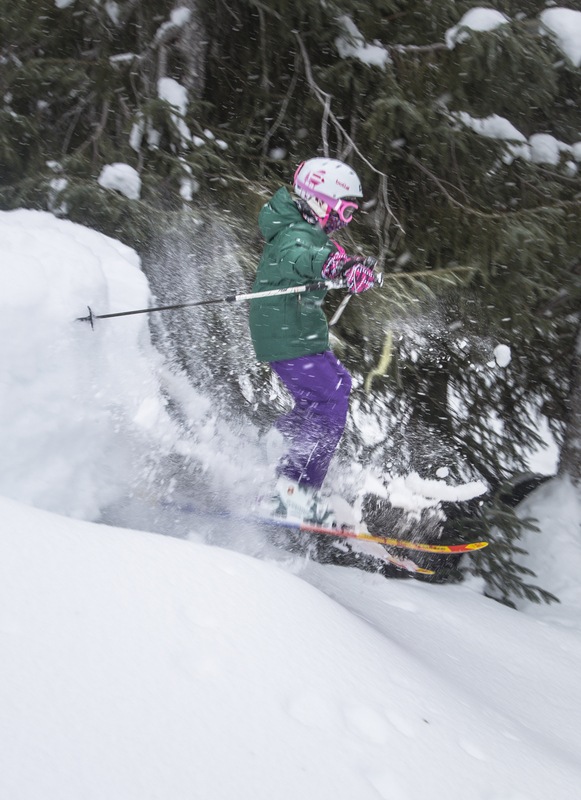 Light freeride skis, easy to ski in everykind of snow…and of course so fun in the pow. Once your kids are all geared up, it’s time to plan your trip. Keep in mind, it is all about fun, the primary goals of a backcountry ski trips are safety and fun. To achieve these goals, the supervising adult(s) should be very comfortable in backcountry terrain and in full control. You are responsible for your kids’ safety. Do not expose them to any kind of hazards. Trip planning is even more important than when you plan a trip for yourself. Keep the exposure to the minimum, have a good initial plan, and be ready to implement a good plan B and C at a moment’s notice, because conditions and circumstances can change quickly. Do not leave any room for doubts and unknown parameters. I cannot emphasize enough how important it is to be choosing appropriate terrain, compatible for those in your group. Especially during the first experiences, choose very simple terrain with absolutely no hazards. In terms of technical and physical abilities, keep a very large safety margin. Of course, stay away from avalanche terrain and other traps. Keep the slope under 30 degrees, stay away from areas which lie under steeper terrain above, far away from steep slopes and cliffs below you, and avoid sharp gullies. Be aware of direction of fall lines and a wide slope without any obstacle is perfect. Never go to an unknown place, and this also means never try a new route with your loved ones. Always bring them to a place you already know well, which includes knowing where all the safe zones, threats, anchors, etc. 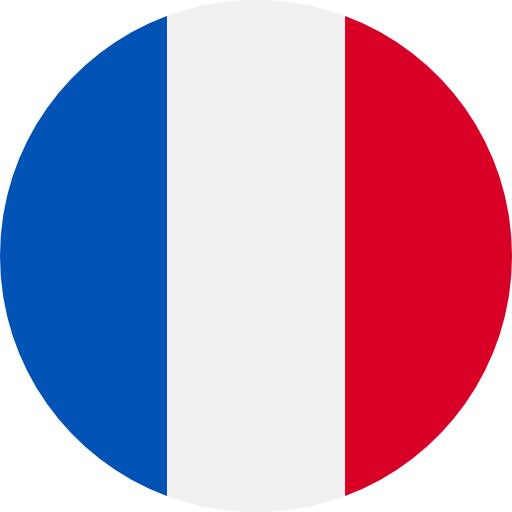 are located. Choose a visibly engaging and achievable route with immediate interests near the start point. Have an easy escape route in case something goes wrong. For an introduction, consider a summer 4×4 trail as an option. Immediate vicinity of a ski hill could be a good choice too. Ski trails after season are a must for their first experience, I did a very smooth introduction with the kids and wanted them to focus on equipment and technique. Just like other activities, introducing them too fast into a too complex environment can be a big mistake – you want them to want to come back. If not done smoothly, kids might feel uncomfortable or even scared. Make sure to choose the appropriate terrain, safety first. Weather and snow conditions are key factors and are massive determinants in the success of the mission. Select a nice day (good lighting to avoid ‘flat-light’) with sympathetic snow conditions (soft light snow with no icy or crust layers), especially for the first outings. Temperature is important too. You will have to make sure your kids will be dressed properly. Check regularlyon them to be sure they remove or add layers when needed(over heating can be just as devastating as hypothermia). If you think fluid hydration and calorie intake is important for adults, you’re right….and it’s even more important for youngsters. A small thermos with warm fluids can go a long way if the kids are starting to fade. Think about these factors and make it a part of your plans. Select terrain your kids have the skills and ability to negotiate. For safety purposes, we ski short pitches, one at a time, in a manner where the kids are in sight at all times. We keep one adult in the back and one in the front and stay very close to them. Looking after children in the mountains is a whole new ball game and it all starts with motivation. If the kids are motivated (this definitely applies to adults too), they will have fun. Find motivating conversations with the kids en route to the mountain, to give them targets and fun to look forward to. Heidi and her first set-up, regular ski boots, regular skis and modified bindings…not perfect but enough to start. Always be sure kids have enough energy, so keep good safety margins to make sure they will not reach their exhaustion point. You want them getting back to the trailhead with a slight reserve of energy in case “plan B” or “plan C” is required late in the day. For very young ones, be imaginative. Creating a story/challenge/treasure hunt to shape and inspire the journey and can install all sorts of fun. These days have the potential to be some of the richest family bonding experiences…so have fun with it. Entering the back country is a huge responsibility with lots to be aware of and a lot of organization. It will also be rewarding for you as a parent as well as for the kids, you will spend unforgettable family moments. A positive mountain experience for young people can change the way they view the world and set them up for life. Plus they’ll probably remember it forever. The real benefits of skiing hills and mountains go much deeper than an appreciation for the environment and improved fitness. It will increase self-confidence, self-reliance, and has a great impact on their emotional development. They will learn so much, especially about themselves. And finally, there’s nothing better than family trips to reinforce the family links and as a parent, you will be proud and happy. Kiona and her big friend for a day of family fun in the magic forest. The two sisters on their way up in White Pass. 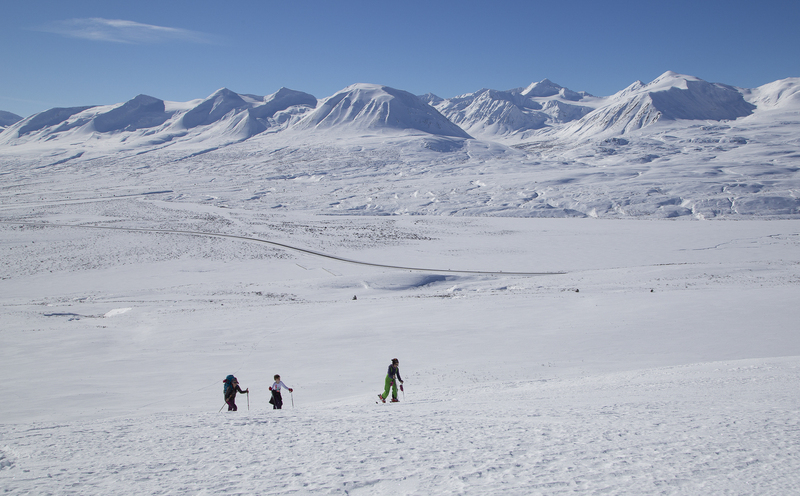 Mama and the girls skinning up and enjoying the view on the Tatshenshini-Alsek provincial park.